We all have come to know and love the d'orsay trend. It's simple, anyone can pull it off and it's modifiable to any budget. I love suede for fall and while I can't say I'll be sporting a full on suede skirt this season, these suede d'orsay shoes make me feel a part of the trend. Sorry Vogue, baby steps for this girl. 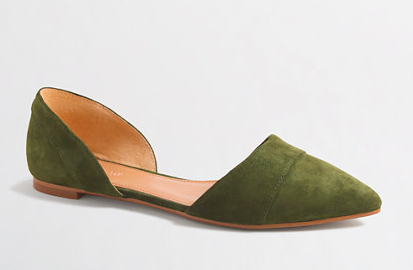 Picture these with bf jeans, picture them with culottes, picture them with a pencil skirt. They do it all. Looking for the perfect black wedge for the cold weather? Boom. This deep cherry reminds me of velvet. So luxe. When you wear these beauties, remember shoulders down and back and look straight ahead. And werk. 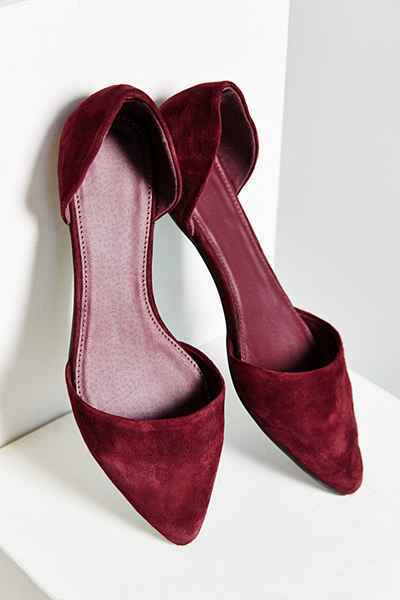 Suede d'Orsay is so perfect for fall. I love both flats and pumps for any occasion.